Hi, I've been adding my spent teabag contents to the surface of one of my containers and noticed some mushrooms popping up. I was wondering, are they considered good (beneficial), or are they likely to be competing for nutrients (like weeds)? Mushrooms have a different metabolism. They will neither compete with (or poison) your plants. As a rule, I pluck them out. 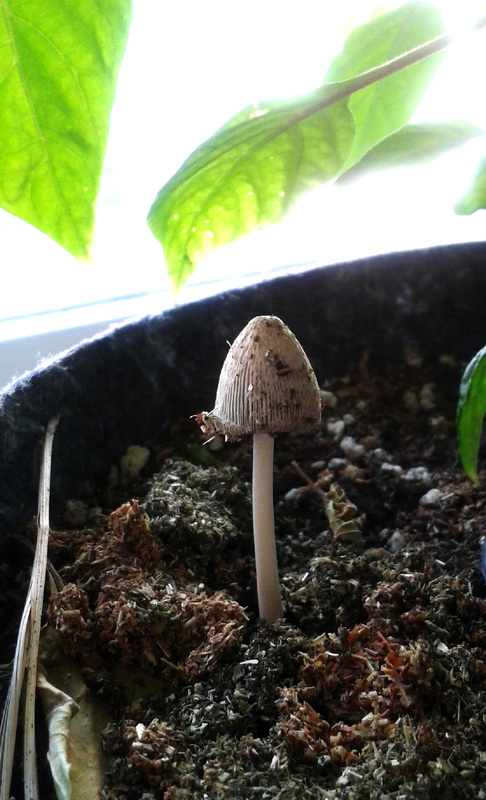 The mushroom in your photo looks to be an inky-cap. i would not eat it. tomc wrote: Mushrooms have a different metabolism. They will neither compete with (or poison) your plants. I wasn't thinking about eating them, but from the images on google, I don't think it looks like an inky-cap. It pretty much looks like that after 12 hours, then dies about 12 hours later.